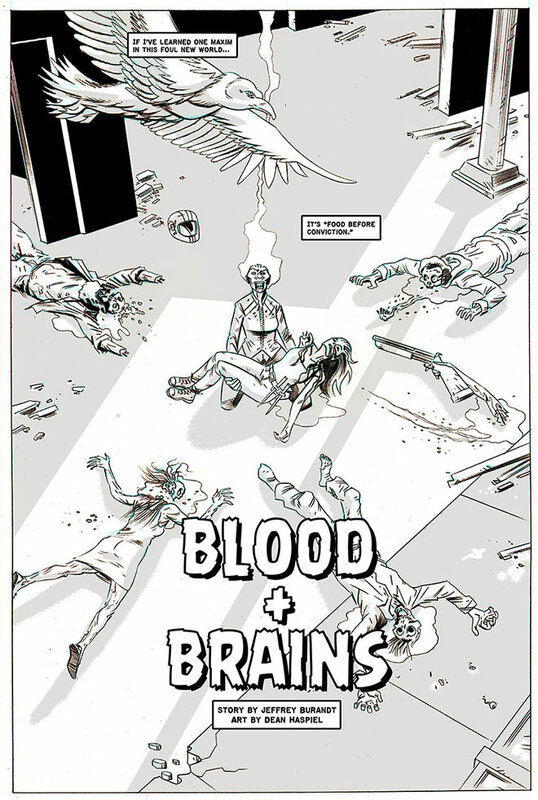 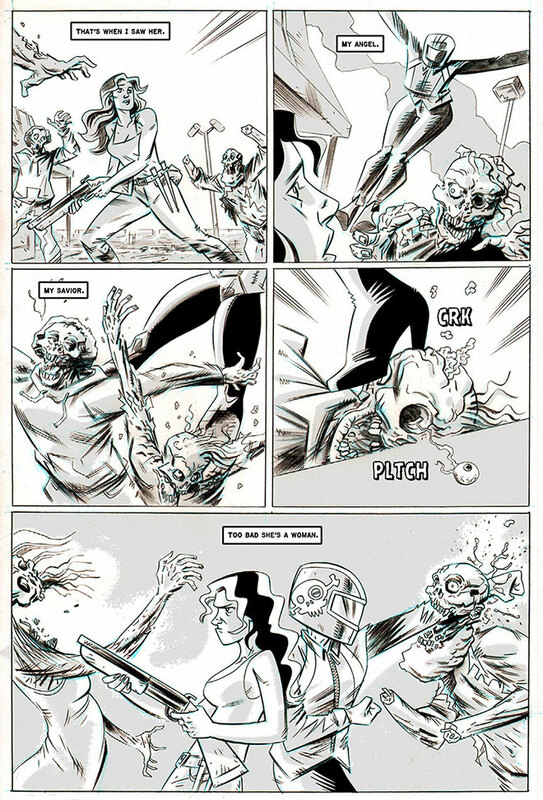 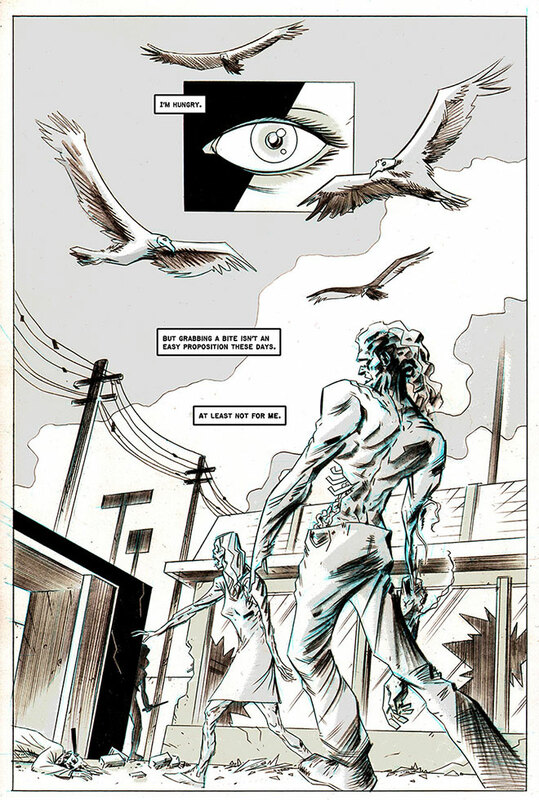 BLOOD + BRAINS by Jeffrey Burandt and Dean Haspiel was first published in December of 2012 in Image Comics’ Creator Owned Heroes #7, which you can buy now, digitally, on Comixology by clicking HERE. 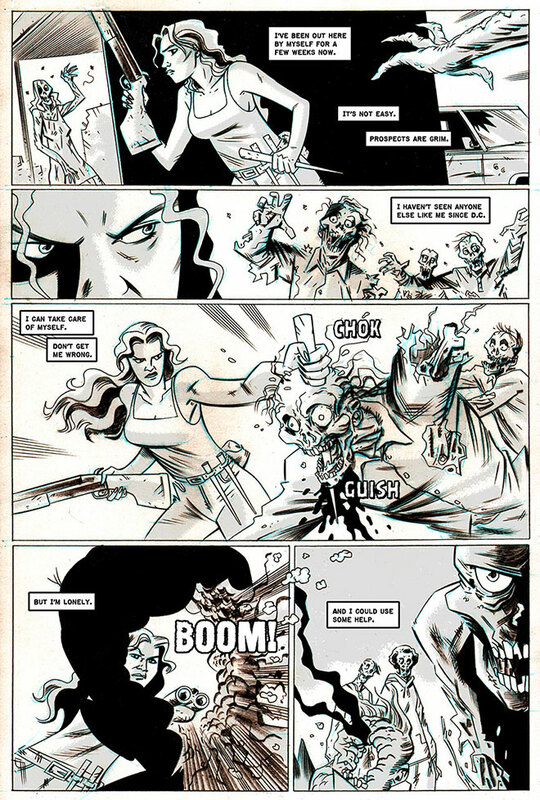 Pitched as a full-length graphic novel, Blood + Brains takes the “vampires vs. zombies” premise, and pushes it to a whole new, adrenaline-infused level, where the ubiquitous zombie horde is but the first wave of monsters our protagonists must survive as they head out on a death-race, cattle-drive against werewolf motorcycle gangs, chupacabra long-haul truckers, and creepy, cancerous mutants. 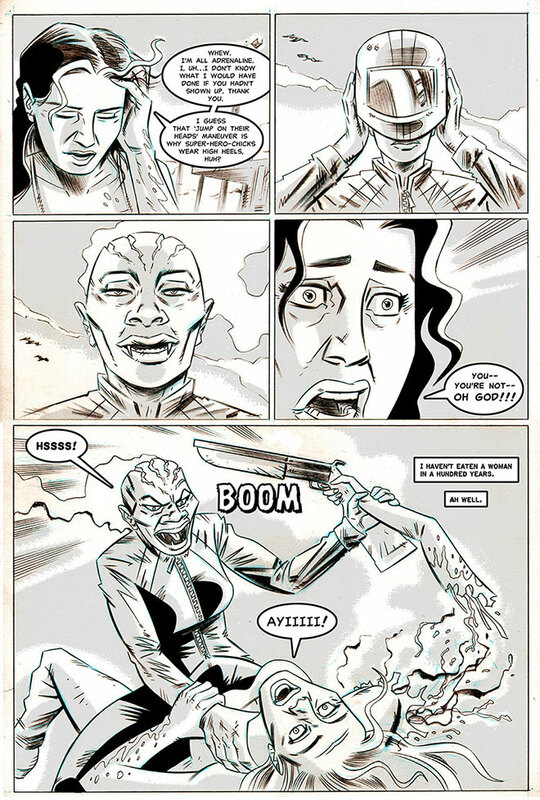 Penny Dreadful meets Mad Max.